Royalty Theatre THE LEARNED JUDGE. Opéra Comique SIR MARMADUKE POINDEXTRE (an Elderly Baronet). ALEXIS (of the Grenadier Guards—his son). DR. DALY (Vicar of Ploverleigh). JOHN WELLINGTON WELLS (of J. W. Wells & Co., Family Sorcerers). LADY SANGAZURE (a Lady of Ancient Lineage). ALINE (her Daughter—betrothed to Alexis). Act I.—Exterior of Sir Marmaduke's Mansion. Mid-day. Act II.—Exterior of Sir Marmaduke's Mansion. Midnight. Opéra Comique THE RT. HON. SIR JOSEPH PORTER, K.C.B. (First Lord of the Admiralty). CAPTAIN CORCORAN (Commanding H.M.S. Pinafore). HEBE (Sir Joseph's First Cousin). MRS. CRIPPS (LITTLE BUTTERCUP) (a Portsmouth Bumboat Woman). First Lord's Sisters, his Cousins, his Aunts, Sailors, Marines, etc. Scene.—Quarter-deck of H.M.S. Pinafore, off Portsmouth. RUTH (a Pirate Maid of all Work). Chorus of Pirates, Police and General Stanley's Daughters. Act I.—A Rocky Sea-shore on the Coast of Cornwall. Act II.—A Ruined Chapel by Moonlight. LIEUT. THE DUKE OF DUNSTABLE (Officers of Dragoon Guards). REGINALD BUNTHORNE (a Fleshly Poet). ARCHIBALD GROSVENOR (an Idyllic Poet). THE LADY JANE (Rapturous Maidens). Chorus of Rapturous Maidens and Officers of Dragoon Guards. Act I.—Exterior of Castle Bunthorne. The Savoy Theatre THE LORD CHANCELLOR. PRIVATE WILLIS (of the Grenadier Guards). IOLANTHE (a Fairy, Strephon's Mother). PHYLLIS (an Arcadian Shepherdess and Ward in Chancery). Chorus of Dukes, Marquises, Earls, Viscounts, Barons and Fairies. Act I.—An Arcadian Landscape. The Savoy Theatre KING HILDEBRAND. LADY BLANCHE (Professor of Abstract Science). LADY PSYCHE (Professor of Humanities). Soldiers, Courtiers, 'Girl Graduates', 'Daughters of the Plough', etc. Act I.—Pavilion in King Hildebrand's Palace. Act II.—Gardens of Castle Adamant. Act III.—Courtyard of Castle Adamant. The Savoy Theatre THE MIKADO OF JAPAN. NANKI-POO (his son, disguised as a wandering minstrel, and in love with Yum-Yum). KO-KO (Lord High Executioner of Titipu). POOH-BAH (Lord High Everything Else). PEEP-BO (Three Sisters—Wards of Ko-Ko). KATISHA (an elderly Lady, in love with Nanki-Poo). Chorus of School-girls, Nobles, Guards and Coolies. Act I.—Courtyard of Ko-Ko's Official Residence. The Savoy Theatre SIR RUTHVEN MURGATROYD (disguised as Robin Oakapple, a Young Farmer). RICHARD DAUNTLESS (his Foster-Brother—A Man-o'-war's-man). SIR DESPARD MURGATROYD, OF RUDDIGORE (a Wicked Baronet). OLD ADAM GOODHEART (Robin's Faithful Servant). ROSE MAYBUD (a Village Maiden). SIR RUPERT MURGATROYD (the First Baronet). SIR JASPER MURGATROYD (the Third Baronet). SIR LIONEL MURGATROYD (the Sixth Baronet). SIR CONRAD MURGATROYD (the Twelfth Baronet). SIR DESMOND MURGATROYD (the Sixteenth Baronet). SIR GILBERT MURGATROYD (the Eighteenth Baronet). SIR MERVYN MURGATROYD (the Twentieth Baronet). SIR RODERIC MURGATROYD (the Twenty-first Baronet). Chorus of Officers, Ancestors, Professional Bridesmaids and Villagers. Act I.—The Fishing Village of Rederring, in Cornwall. Act II.—The Picture Gallery in Ruddigore Castle. Time—Early in the 19th Century. The Savoy Theatre SIR RICHARD CHOLMONDELEY (Lieutenant of the Tower). COLONEL FAIRFAX (under sentence of death). SERGEANT MERYLL (of the Yeomen of the Guard). JACK POINT (a Strolling Jester). WILFRED SHADBOLT (Head Jailer and Assistant Tormentor). ELSIE MAYNARD (a Strolling Singer). PHOEBE MERYLL (Sergeant Meryll's Daughter). DAME CARRUTHERS (Housekeeper to the Tower). Chorus of Yeomen of the Guard, Gentlemen, Citizens, etc. Scene.—Tower Green. The Savoy Theatre THE DUKE OF PLAZA-TORO (a Grandee of Spain). 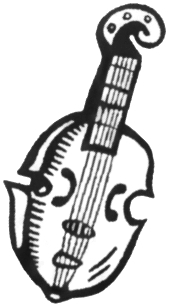 DON ALHAMBRA DEL BOLERO (the Grand Inquisitor). Chorus of Gondoliers and Contadine, Men-at-Arms, Heralds and Pages. Act I.—The Piazzetta, Venice. Act II.—Pavilion in the Palace of Barataria. The Savoy Theatre KING PARAMOUNT THE FIRST (King of Utopia). PHANTIS (Judges of the Utopian Supreme Court). LORD DRAMALEIGH (a British Lord Chamberlain). CAPTAIN FITZBATTLEAXE (First Life Guards). CAPTAIN SIR EDWARD CORCORAN, K.C.B. (of the Royal Navy). MR. GOLDBURY (a Company Promoter; afterwards Comptroller of the Utopian Household). MR. BLUSHINGTON (of the City Council). THE PRINCESS ZARA (Eldest Daughter of King Paramount). THE PRINCESS KALYBA (her Younger Sisters). THE LADY SOPHY (their English Gouvernante). PHYLLA (Utopian Maidens). Act I.—A Utopian Palm Grove. Act II.—Throne Room in King Paramount's Palace. The Savoy Theatre RUDOLPH (Grand Duke of Pfennig Halbpfennig). ERNEST DUMMKOPF (a Theatrical Manager). THE PRINCE OF MONTE CARLO. THE PRINCESS OF MONTE CARLO (betrothed to Rudolph). THE BARONESS VON KRAKENFELDT (betrothed to Rudolph). JULIA JELLICOE (an English Comédienne). MARTHA (Members of Ernest Dummkopf's Company). Chamberlains, Nobles, Actors, Actresses, etc. 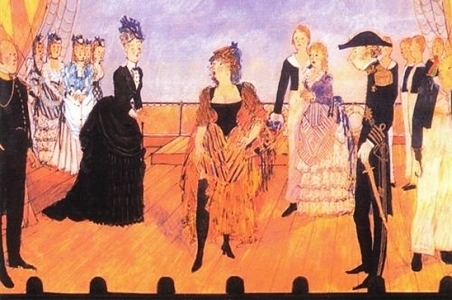 Act I—Scene. Public Square of Spiesesaal. Act II—Scene. Hall in the Grand Ducal Palace. Gilbert, W. S. The Savoy Operas. Ware, Herts. : Wordsworth Editions Ltd., 1994.